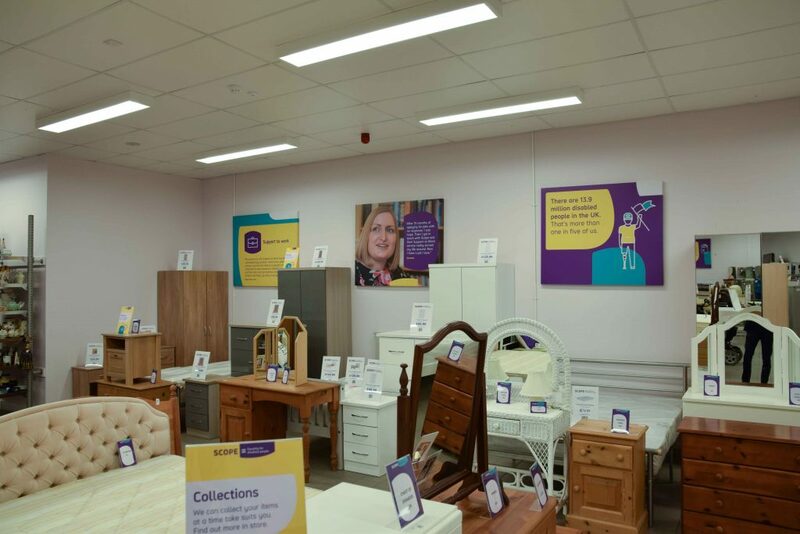 A new innovative retail concept from Scope, “ Home By Scope “ is a large retail space offering a traditional charity shop plus furniture, home interiors and home electrical’s all under one roof. It also offers a great selection of mobility and disability aids and is a Donation Centre, all of which means it is a very good use of the space. Disability charity Scope opens its first “ Home by Scope “ in the north of England, in Doncaster. The shop is located at Unit 3A, Thorne Road Retail Park, Doncaster, DN2 5DX and is fully accessible to wheelchair users and people with buggies. 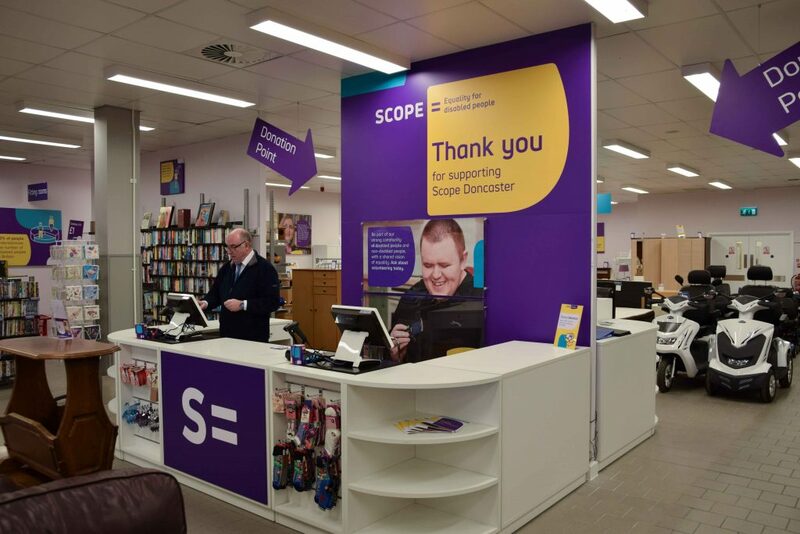 This will be the first Scope charity shop to be located in a retail park and it houses both a traditional charity shop with furniture and electrical shop under one roof. The Civic Mayor, Councillor Majid Khan, will be visiting the shop at 1 pm to meet the local team of staff and volunteers. 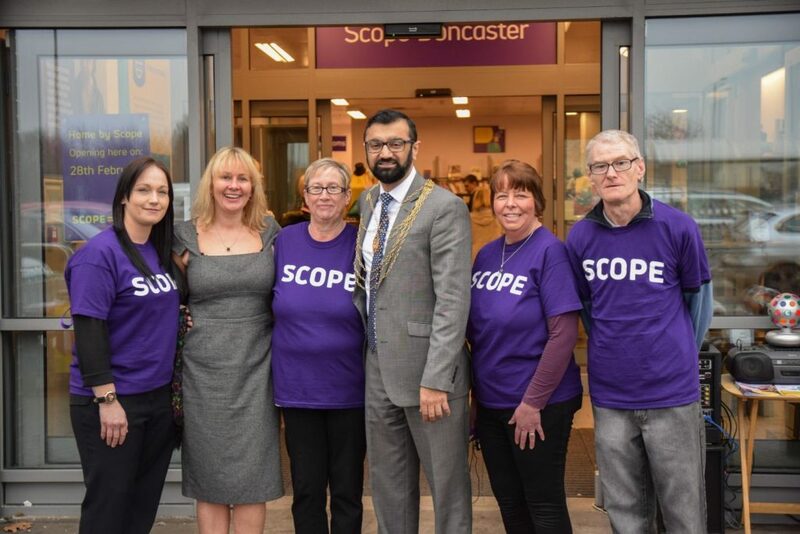 Councillor Khan will see first hand how Scope has designed the widened aisles to allow wheelchairs and buggies to manoeuvre easily around all areas. The layout of the furniture area is designed in room sets, rather than rows of products, to create an inspiring and relaxing shopping experience. The new shop is a treasure trove for bargain hunters, and the new ranges will feature a great mix of quality furniture from must have Mid-Century retro items, to traditional and modern items for the home, as well as a range of new homeware accessories. Fashions include high-end high street and retro gems, at competitive prices and, there is a comprehensive range of reconditioned mobility and disability aids. “We have a fabulous range of furniture, from sofas to dining sets, fashions, and bric-a-brac to suit all tastes. Whether you’re a budding fashionista or just love finding hidden gems, with great donations from this community, our new look shop is the perfect place for canny shoppers to get catwalk looks or show-room homes, without breaking the bank. We also have a comprehensive range of reconditioned mobility and disability aids. “I am extremely pleased that Scope has chosen Doncaster to open its new style shop, Home by Scope. “To see how hard the local staff and volunteers have worked to open this shop makes me extremely proud and I am delighted to be present at the opening. Scope will collect furniture and electrical items within a 30-mile radius of the shop. Scope can deliver purchased furniture for a fee, based on the distance from the shop.